Rooms can be combined to seat 120. 4pm-8:30pmFreeOne child 12 & under per paying adult. Lunch: $10.16Dinner/Weekend: $12.38Must be 65 years or older. Cannot be combined with other offers. 2pm-4pm$8.99Must be 65 years or older. Cannot be combined with other offers. 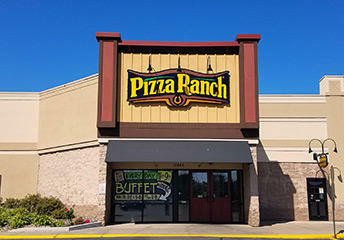 Join us at Pizza Ranch in Andover for a legendary experience. We’re serving up savory pizza, crispy chicken, and crowd-pleasing Cactus Bread on the buffet every day—all we’re missing is you! Whether it’s through Community Impact Fundraising Events for the high school marching band, or selling our famous Cactus Bread at youth sporting events, we’re proud to support Anoka County. Our three party rooms can be combined to seat 120 individuals, making the Ranch the perfect place to host your next gathering or team outing. And if you don’t feel like coming out, just order online and we’ll bring the flavor to you. 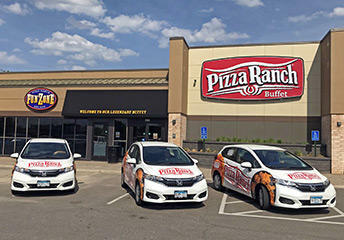 Pizza Ranch of Andover has been recognized for our food and service quality! We want to thank the community for voting for us – you are what makes us legendary. The food is great & plentiful! I placed an order to go, was ready when they said it would be. Food that was supposed to be hot was and the coleslaw was cold. Friendly service. We went to Pizza Ranch yesterday and when we bought our buffets I told her we should have some credit on our card from prior visits. She said there was nothing on the card. We brought 14 people there for a family Christmas party and they told us we had earned credits on our card. So I asked her where the credits went. She said they only stay on the card for 2 months and then they go away. Nobody told me that prior to this. I guess I won't be returning there again because I was very disappointed after bringing 14 people there and paying for all their meals and then have the credits disappear on the card. We will find somewhere else to go. We have several other options which we will be exploring when the time comes. Sammy's is a great option. I tried this location because I’ve been less than impressed with the Maplewood location. This wasn’t any better. The customer service was good but the food was only ok. The pizza was barely warm, some of the salad dressings were empty, and many of the salad bar ingredients were cross contaminated. There was food on the floor in the food area that was never cleaned up while I was there. 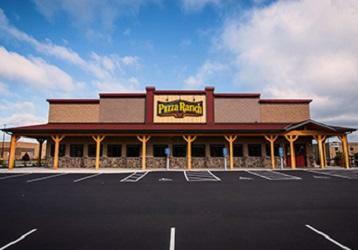 The Pizza Ranch we visit is always great. Friendly fast staff and great food. Food was great. Pizza Ranch is always kept clean. A lot of bizarre pizza, but not many of the traditional. The chicken was really dry and hard to chew. We meet friends for supper there every other month, otherwise I would not come back. Not worth the price. Great food and service, will go back again. The white chicken breast was not as good as usual --- somewhat dry. Food was hot and tasty! Excellent service from everyone! Table was cleaned off as soon as we finished. Loved the additions to the salad bar. Clean, good value, not too busy but could use better pizza selection out!! Great customer service! Manager Tim always makes it a pleasant experience to come! I love the experience at Pizza Ranch. The only issue I sometimes have is when I call in for carry out is that a few times I have gotten a message that I can't get through, something about mailbox is full or something like that. Then I have a hard time hearing the employee on the other end, they seem like they are "a million miles away." I have commented that I can't hear them very well and it sometimes gets a bit better but not always. great customer service. buffet was well stocked.